Payal Rohatgi (born 9 November 1984) is an Indian actress and reality TV performer who appears in Bollywood films. She was a contestant in the reality show Bigg Boss in 2008. Rohatgi has been in Bollywood for almost 15 years and has done a number of films and many TV shows. Her notable assignments in cinema are Corporate, Dhol, 36 China Town, Dil Kabaddi, Rakht and Plan. TV serials are Big Boss Season 2, Survivor India, Nach Baliye 7, Suryaputra Karn and Humsafar. 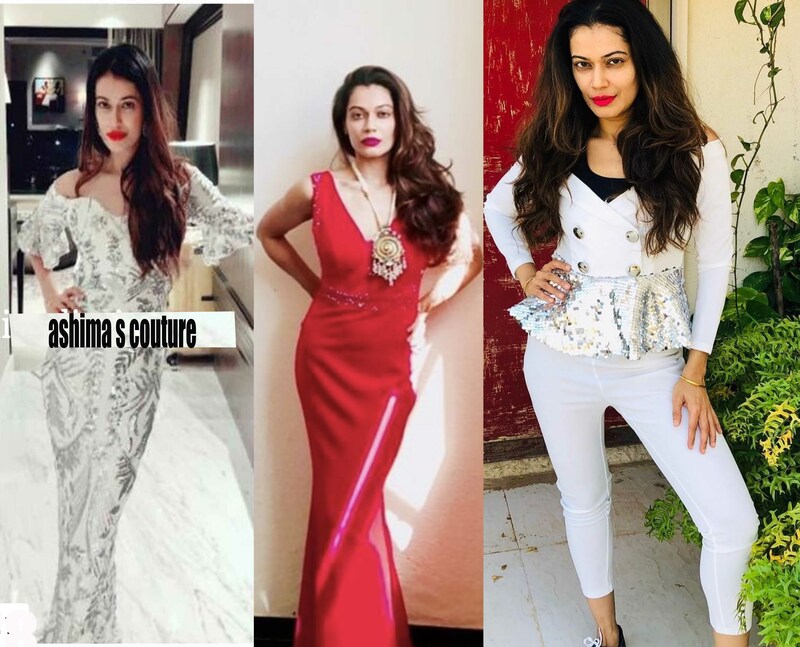 Recently, Actress Payal Rohatgi picked Ashima Sharma’s bling statement pieces for a number of events this season, the actress is known for quirky screen presence and variety of characters played by her in Movies and Televison. She picked outfits from Ashima’s much popular collections this season, the outfits picked by her have been a hit in the celeb circle. Payal looked stunning gorgeous in every ensemble picked by her from the designer’s much loved collections. Designer Ashima Sharma & her brand Ashima S Couture are known for their statement style which includes lot of glitter, glam, metal, sequins and bling elements. Payal picked all the styles that were different from one another and carried them with utmost grace. Ashima Sharma & her brand Ashima S Couture’s outfits have been a hit for most of the B Town events including reality shows and have been quite a choice for most celebs this season. 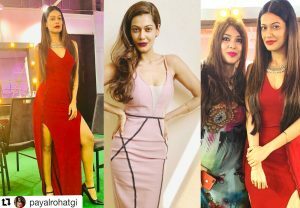 Payal Rohatgi has been in Bollywood for about 15 years, her most notable works were in Corporate alongside Bipasaha Basu, 26 China Town alongside Kareena Kapoor and Shahid Kapur, Rakht, Plan and Dil Kabaddi. She was also a majorly popular contestant in Bigg Boss Season 2, also participated in Nach Baliye 7 and also been seen in the popular Tv serial Suryaputra Karn. She also won Miss World Tourism Title as she was a contestant alongside Priyanka Chopra, Dia Mirza and Lara Dutta. She is engaged to popular international award winning wrestler Sangram Singh who was also Bigg Boss 7 finalist.